with or without the full investment! We take security very seriously, and use industry standard encryption. User funds are safely stored in multiple locations. We offer an outstanding online wallet experience, and even enable zero fee internal transactions. We know that only a few people can afford an entire masternode, so we offer people to fund masternodes collectively. From design to implementation, he's the big picture guy and technical guru. Jonas also brings experience from Adverti, which he founded in 2015. From design, code and marketing to support, Lukas fills the gaps and ensures the little details are remembered, actioned and resolved. In a masternode, 1 share is the equivalent of 1 coin. This is used to calculate how much of the reward each masternode investor should be given. E.g. ION masternodes, which require 20,000 coins, will have 20,000 shares. If you have 10,000 shares in this masternode, you will receive 50% of the rewards. We offer hosted/managed masternodes for individuals with enough coins for an entire masternode. In addition to that, we offer shared masternodes, sometimes referred as pooled masternodes. This allows individuals to take part in a masternode with a minimum investment of only 1 coin, instead of requiring the full collateral amount. Hosted masternodes have a flat $7.99/month hosting fee. Shared masternodes share the costs with everyone invested in the masternode. 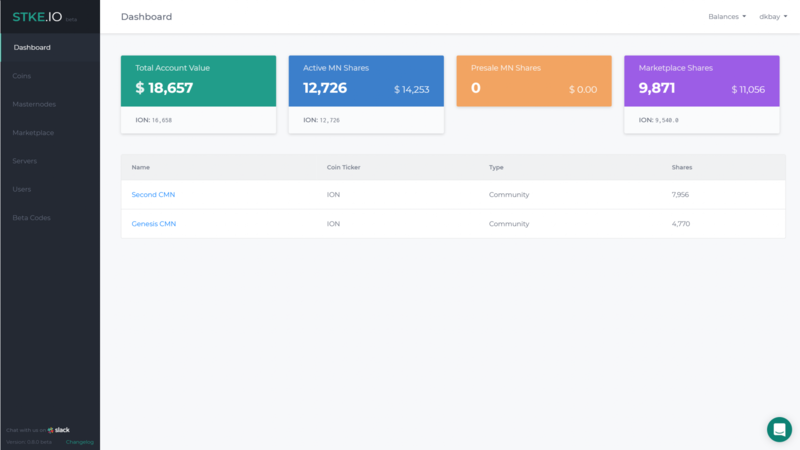 The fees on an entire shared masternode is $6.5/month plus a 5% fee on all stake rewards. Shares can be bought and sold between users through the marketplace on our platform. Currently, there are no fees for transactions through our marketplace. 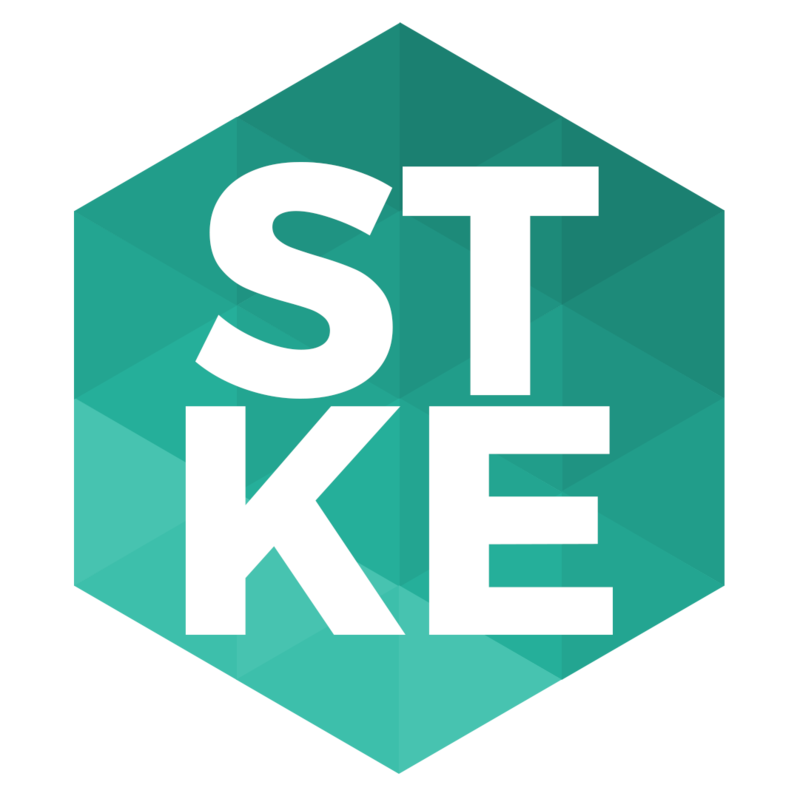 Stke.io is a platform that allows anyone to run masternodes for digital currencies. Choose between Hosted Masternodes (we host your masternode for you) and Community Masternodes (get a share in a community masternode). © 2018 Stke.io. All rights reserved.